For the Seattle Mariners, King Felix’s reign of dominance is over. The team had to make a tough decision about their six-time All-Star. 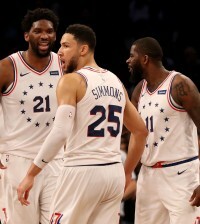 After all, they are in the thick of things in the AL Wild Card race, and need to get more out of their starters if they want to advance to the postseason for the first time since 2001. 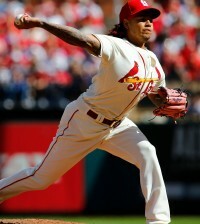 The team announced Thursday night that they have moved veteran starter Felix Hernandez to the bullpen. It comes just days after he allowed seven earned runs and eight hits in a loss to the Texas Rangers that jacked his ERA on the season up to a career-worst 5.73 through 23 starts. “He’s done an unbelievable job as a Mariner…And I certainly don’t take any of this lightly, but I just think trying to make the best decision for the ball club and really the best decision for Felix at this point is just take a breath. Step back, gather yourself.” said Mariners manager Scott Servais. 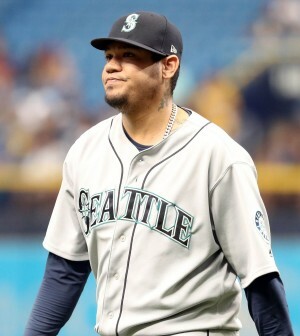 The 32-year old Venezuelan, who made his MLB debut at 19-years old and is in his 14th season with the Mariners, has posted a career 168-124 record, 3.32 ERA, and 1.20 WHIP through 2626.1 innings. Along with his All-Star appearances, he is also a two-time AL ERA leader, one-time MLB wins leader, has won the AL Cy Young Award and once threw the 23rd perfect game in MLB history during a game on August 15, 2012.